A Lenovo Legion laptop with no hint of red? 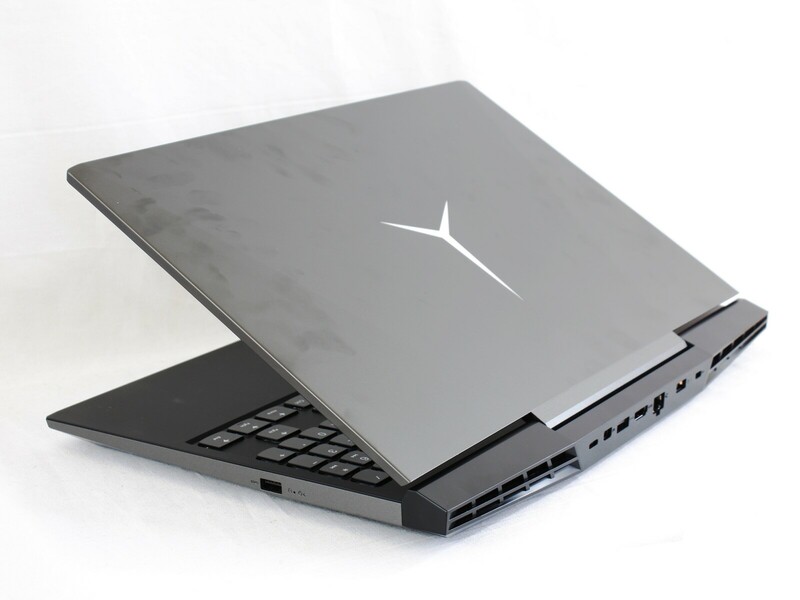 The Y7000 is a more mature step forward that drops the gaudy glossy look of older Lenovo gaming laptops for a smoother and more uniform narrow-bezel design. The end result is a notebook without all the bright or eccentric colors often associated with powerful gaming machines. Series: The Lenovo Legion Y7000 is a gaming laptop that refines laptop gaming experience. It’s loaded with high-end features, including 16 GB of RAM, immersive Dolby Atmos audio, and a 256 GB solid-state drive. Scenes spring to life on a brilliant Full HD display, framed by an ultra-thin 7.62 mm (0.3 inch) bezel. And a sleek, aluminum body offers stylish protection from the daily grind. The laptop has a sharper and more gamer-centric design. It has a shiny aluminum cover which features the glossy look for a smoother and more uniform narrow-bezel design. A user can take the laptop anywhere without screaming "I'm a gamer". At 26.92 mm (1.06 inch) slim and weighing under 2.72 kg (6 pounds), the Legion expertly balances epic gaming performance with lightweight convenience. The 15.6" IPS display features a Full HD 1,920 x 1,080 screen resolution and a 16:9 aspect ratio. The 144 Hz refresh rate helps reduce motion blurs and screen tearing. Visuals are handled by a dedicated Nvidia GeForce GTX 1060 graphics card with 6 GB of GDDR5 VRAM. The display is amazing, very bright and accurate. For hardware specifications, The system is powered by an 8th generation Coffee Lake 2.2 Intel Core i7-8750H six-core processor. It also has 16 GB of DDR4 RAM, a 512 GB PCIe SSD, Gigabit Ethernet, 802.11ac Wi-Fi, built-in stereo speakers from Harman Kardon, Bluetooth 4.1, USB Type-C, HDMI, and Mini DisplayPort. The keyboard is backlit with white lights. Windows 10 Home (64-bit) is the installed operating system. With a performance boost of 40 percent generation over generation, 8th generation Intel Core processors deliver the power and responsiveness to make productivity soar. Users can edit photos and videos faster than ever and move between programs and windows quickly. The Legion is thermally optimized to run cool and quiet thanks to a smart cooling system. Dual fans and channels ensure even, fluent heat dissipation. For connectivity, most of the ports are on the back of the system which includes three USB 3.1 ports, an SD card slot, an HDMI port, a 3.5 mm Headset jack, a type-C port, an RJ45 connector, and a Mini DisplayPort. The Lenovo's approach saves desktop space, but commonly used ports such as USB Type-C and HDMI are more difficult to reach. The laptop is powered by a 3 cell Li-ion battery. As a conclusion, Lenovo has delivered a laptop that features amazing performance for its price tag. A user can use it for gaming or just any job and it is lightweight to take anywhere. The Legion range is proving to be as good as its bigger competitors such as the HP’s Omen, Asus’s Predator and even MSI’s G series. With the gaming category demand increasing, Lenovo has done the only logical thing, offering one with great specs at a relatively affordable price. 70.74%: This rating is bad. Most notebooks are better rated. This is not a recommendation for purchase.